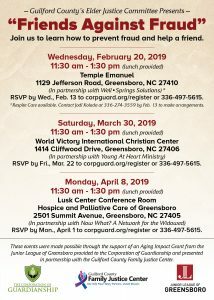 Join us to learn how to prevent fraud and help a friend, lunch provided. In partnership with Now What? A Network for the Widowed. 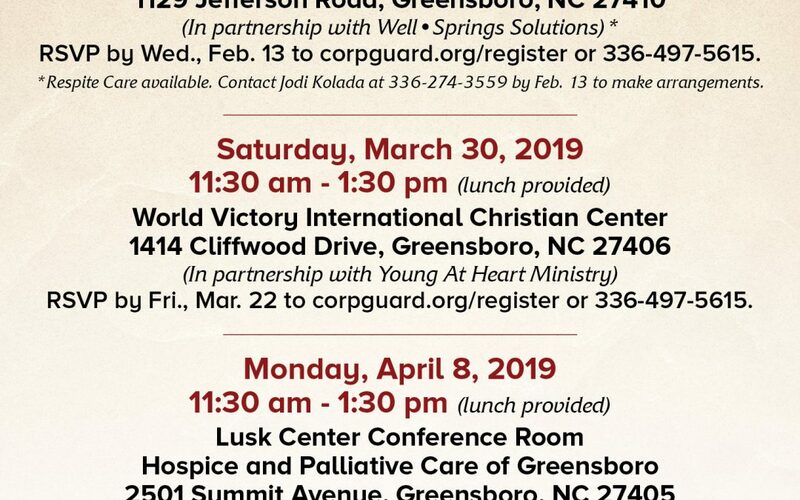 RSVP by Monday April 1 to corpguard.org/register or 336-497-5615.